Primary schools do not encourage an engineering mindset and secondary school teaching of engineering is highly variable, according to the study commissioned by the Royal Academy of Engineering, and more engineering-based content should be introduced into the curriculum. The document identifies six ‘engineering habits of mind’ that children commonly possess – systems thinking, adapting, problem finding, creative problem solving, visualising and improving – but argues the UK needs to redesign its education system if it wants to embed these habits and produce more engineers. ‘Young children exhibit engineering habits of mind in the raw,’ says the report produced by the University of Winchester’s Centre for Real World Learning. However, the education system has come to expect young people to move away from practical learning as they grow up and to become more theoretical and abstract, it says. While citing outstanding examples of innovative teaching practice at all levels, the report says that ‘too many primary and secondary schools almost manage to extinguish the prototype engineering ability latent in young children’. It proposes that the engineering teaching and learning community considers redesigning curricula – primary, secondary, further and higher education and, potentially, family learning – starting from the premise that they are trying to cultivate learners who think like engineers. 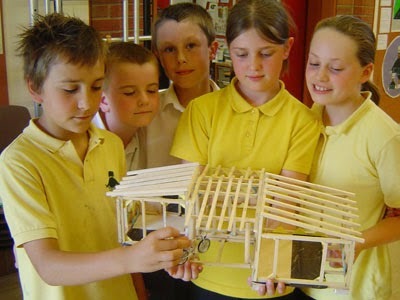 The report recommends that organisations promoting engineering should use the introduction of the new National Curriculum in 2014 as an opportunity to support schools in introducing more engineering-based content. ‘Engineers think differently from the rest of the world. And society badly needs their problem-solving, systems-thinking and relentlessly-seeking-to-make-and-improve mindset.’ report author Prof Bill Lucas said in a statement. Previous articleOYO MIAST UNVEILS PLAN FOR THE MUCH AWAITED GRADUATE INDUSTRIAL DEVELOPMENT LOAN SCHEME.